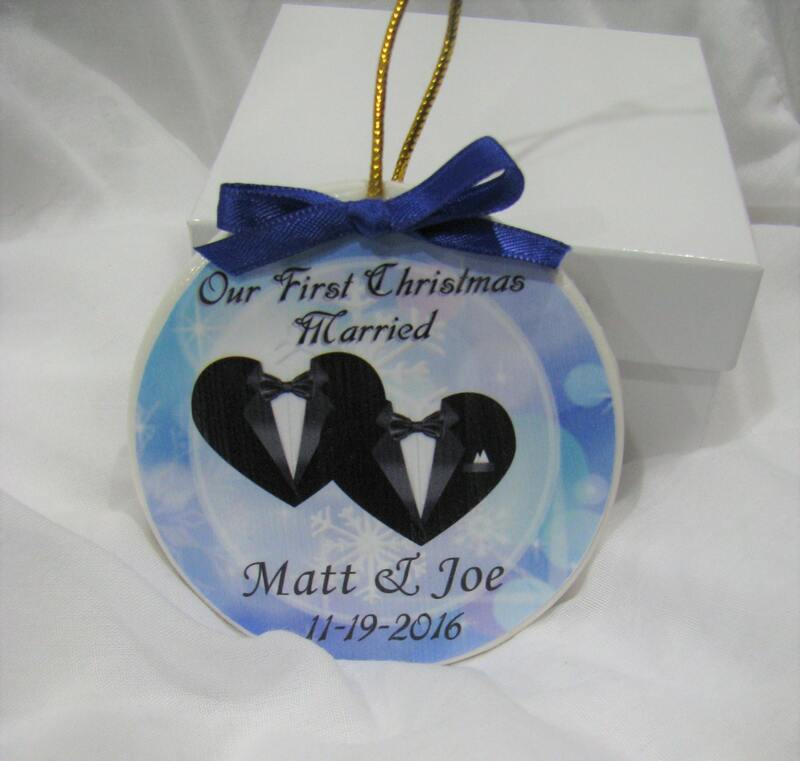 Gay Wedding Gift - Gay wedding gift for gay couples--First Christmas Gay marriage ornament- Great wedding gift! 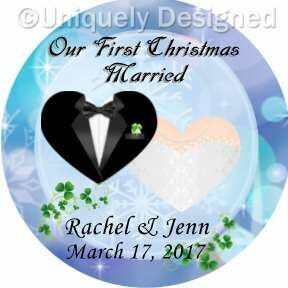 Gay wedding gifts can be hard to find and we hope you'll find ours to be unique and classy for the newly married couple. Whether they have been together a long time or not, this is the perfect gift. 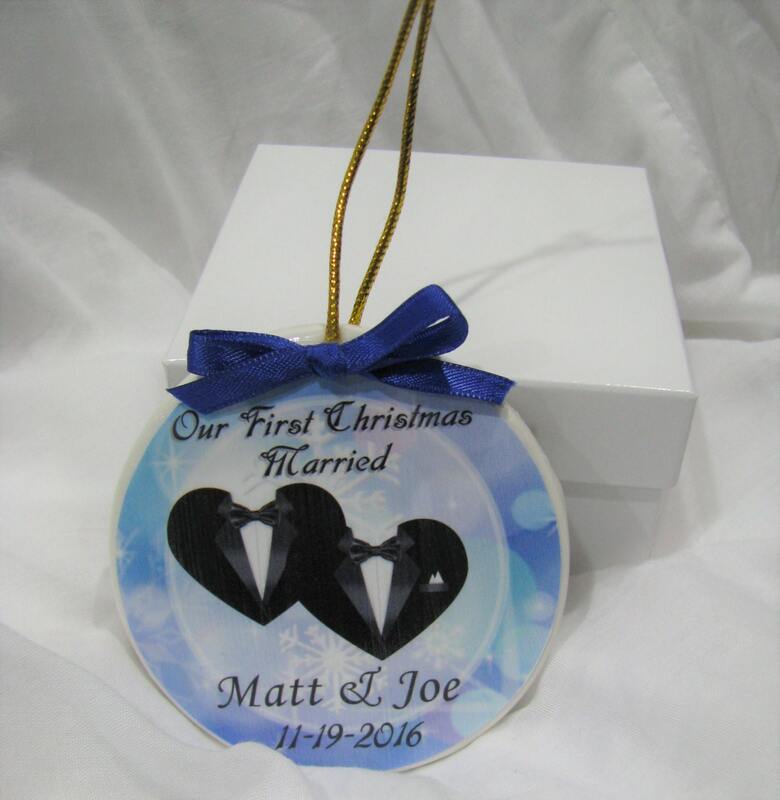 Because what couple doesn't love to remember the year during Christmas? We feel our gay wedding gifts are sure to please. 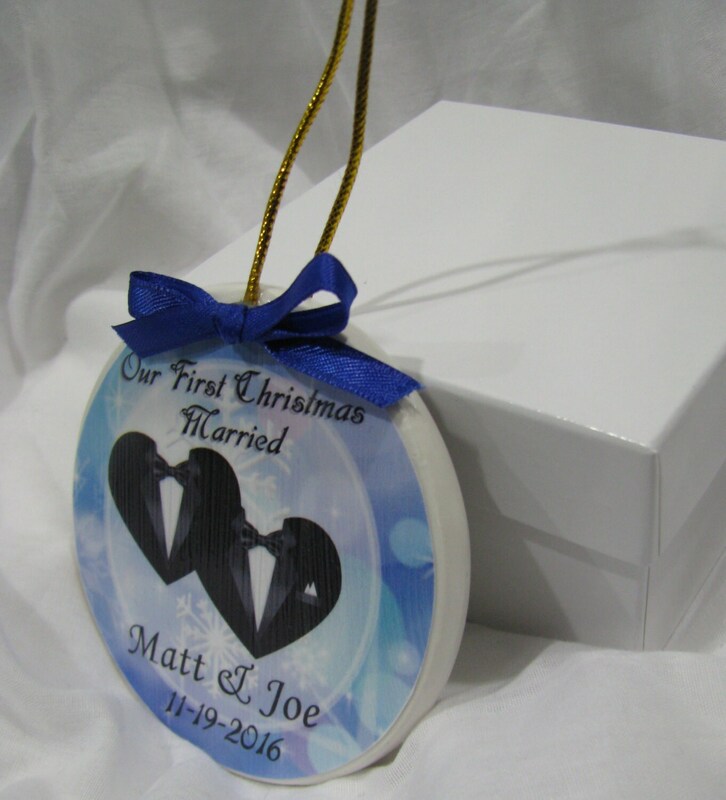 This unique Gay wedding ornament can be custom designed. I do not have a "customize" button, but it CAN be customized. Just please order through this link. And tell me what you'd like. Leave a message in the "notes" section. If you'd like to add your own photo, please let me know and send a convo (at the bottom of a convo there is a camera icon to attach a photo). If you have any questions, I'm happy to answer them! Looking for a more all year round gift, check out these tiles (which can be custom made with the saying you want).